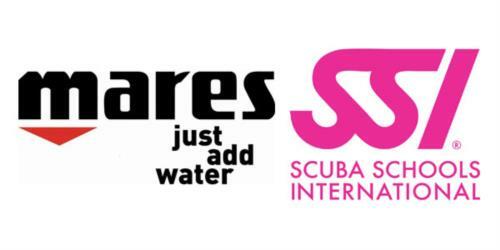 We are proud to announce HEAD/MARES has signed an agreement to acquire Scuba Schools International (SSI). The effective date will be January 1st 2014. In recent years, SSI has become one of the fastest growing training agencies in the world. Dive Centers and Resorts alike are turning to SSI for the depth and quality of their training materials, plus their “signature” business support. With more than 40 years of experience, innovative products like Swim, Freediving and Extended Range keep SSI in the forefront of both the active diver and new consumer. This is only possible through the SSI network of 2500 plus Dive Centers and Resorts around the world providing "The Ultimate Dive Experience!" Looking at the depth of the HEAD product lines, one is struck by the obvious. Not only is HEAD one of the leading manufacturers of many well known sporting goods brands, they also own MARES, one of the world’s 3 leading diving equipment brands. Their products are a perfect match with SSI – Swimming, Snorkeling, Freediving, Spearfishing and Scuba. With direct subsidiaries in most developed countries, MARES also has distributors in 50 other countries. You are probably wondering how will this change affect me? The short and simple answer is – it won’t. Rest assured, SSI will continue to focus on its current Business Model – Swim, Snorkel and Scuba. MARES will continue to build high quality diving equipment. You can expect the same emphasis on building strong relationships with both companies and “even more” with SSI’s development and quest for creating the finest education system in the diving industry. All will be based on supporting you, the retailer and resort, promoting equipment sales, continuing education and travel. If you are concerned how this will affect your relationship with your current manufacturer or training agency – please don’t. SSI will continue to maintain relationships with ALL major manufacturers, just like MARES will with all other training agencies. In other words, there is no obligation for a MARES dealer to do business with SSI or an SSI dealer to do business with MARES. But, what you can count on is there will be many new business opportunities for you. The entire SSI management team will remain in place and continue their daily responsibilities. SSI USA will remain the Service Center for the USA and Canada. We hope you are as excited about the future as we are and what this can do for both companies and more importantly – YOU! What we can promise is unequaled business support for our dive centers and professionals. This will remain the pillar of our business. Bringing these 2 companies together represents a huge paradigm shift for the diving industry and a tremendous growth opportunity. Welcome to a new direction, SSI/MARES. Prepare to be amazed! I’m hoping this doesn’t mean SSI shops will be forced to sell soley Mares or shops that sells Mares have to certify through SSI. Don’t take this wrong I’m SSI cert’d but competition is a good thing. What’s everyone elses thoughts on this? "I’m hoping this doesn’t mean SSI shops will be forced to sell soley Mares or shops that sells Mares have to certify through SSI. Don’t take this wrong I’m SSI cert’d but competition is a good thing. What’s everyone elses thoughts on this?" That was my first thought too, an SSI shop I’ve used on travel is a ScubaPro only shop. That business model always bothered me, no one brand be it cars or scuba gear makes the best of everything. If the LDS is Mares or ScubaPro only then they are not going to get all of my bu$ine$$ because I do shop around for bits and pieces of gear. Some times a good respected brand will build a turkey, Oceanic learned from Farrallon, hopefully Mares learned from the leaky 6 window mask! What we should be most concerned over is the fact that our sport which has been self sanctioning and self policing is turning more corporate. This historically is not an improvement for the individuals practicing the sport as the governing body becomes more focused on profits and less focused on anything that doesn’t directly help increase profits. With SSI’s (over) emphasis on gear sales to their students/customers, this seems like a marriage made in heaven for this certification agency and a gear manufacturer! I’m not surprised one bit by this news! RAWalker hit it on the head. No pun intended.